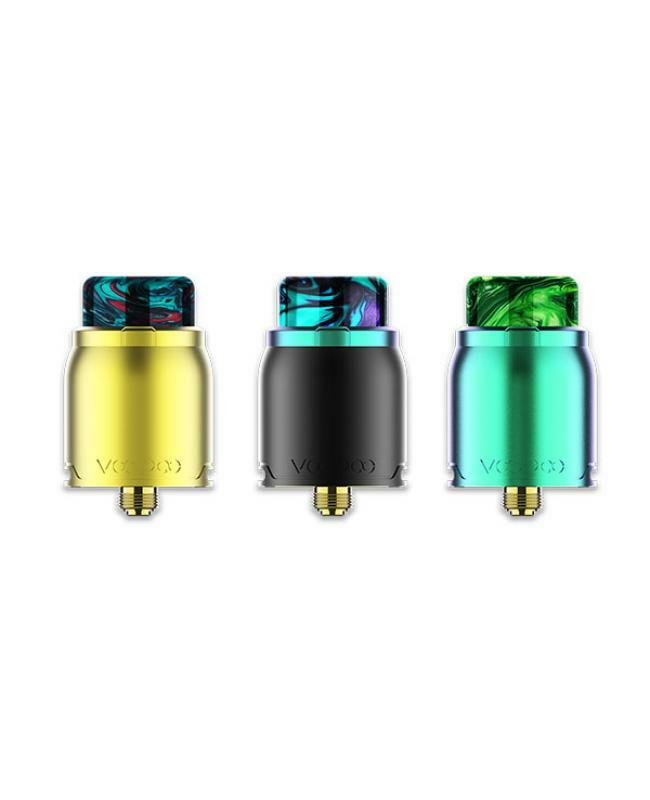 The Voopoo Pericles 24MM RDA Atomizer, made of high-quality stainless steel and resin material, various colors available. the RDA with bottom airflow adjustable design can adjust the airflow to your preference simply by rotating the top cap, it supports top and bottom e juice refill. 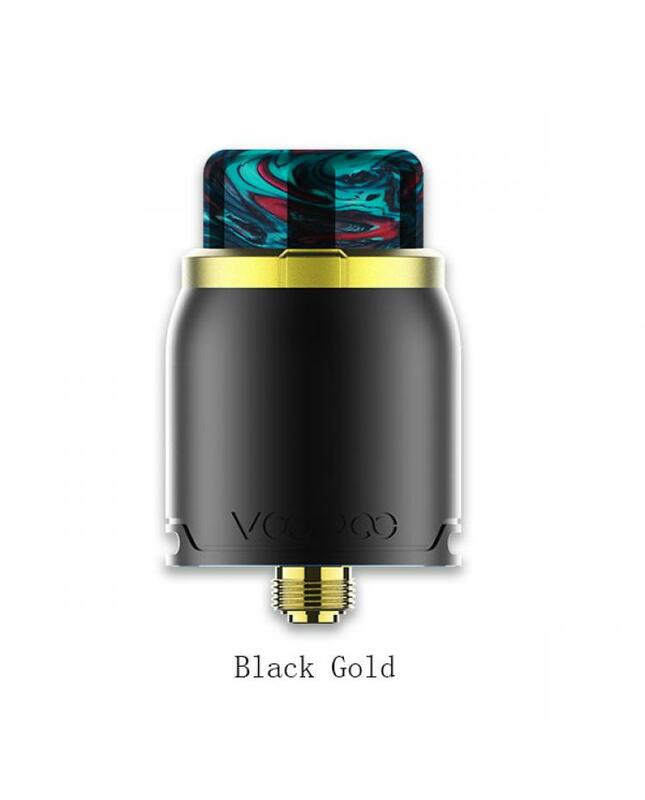 the large building deck supports single coil or dual coils, Pericles accommodates most types of wire, for its big wire slots, to build up the dual coils, all you need to do is easily pushing in the coils and fix them in place. 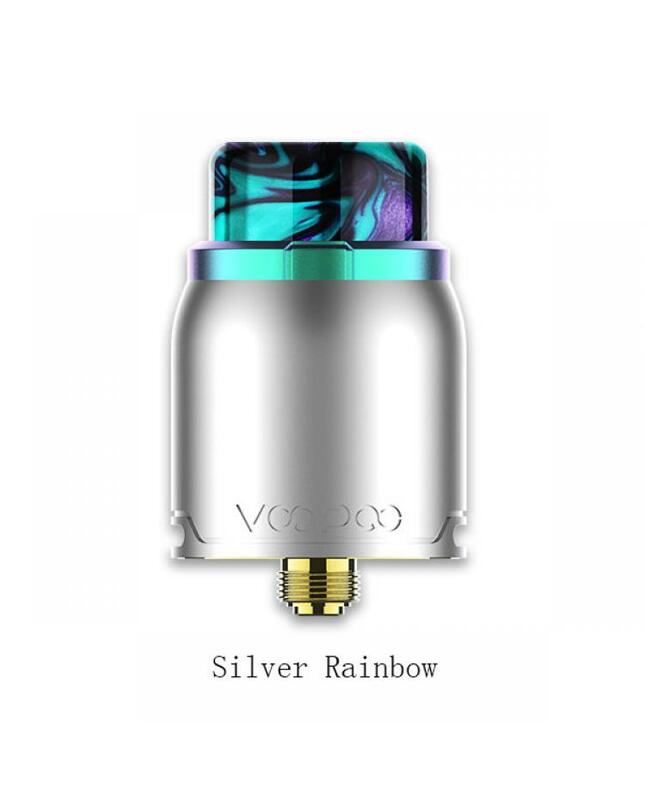 the deep juice well can hold more e juice and allows vapors to have more fun in vaping. 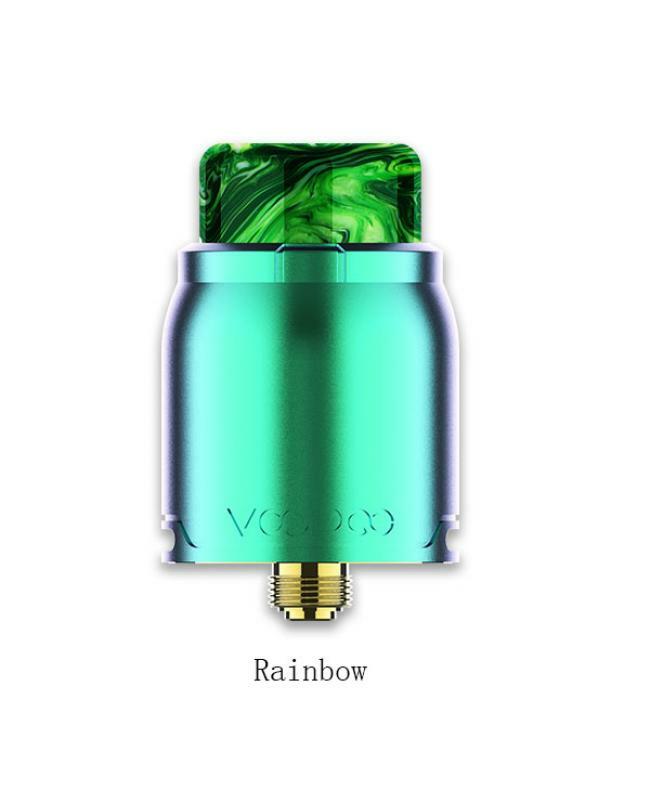 the bridge in the center smartly divides liquids into both sides instead of spray in vaping. 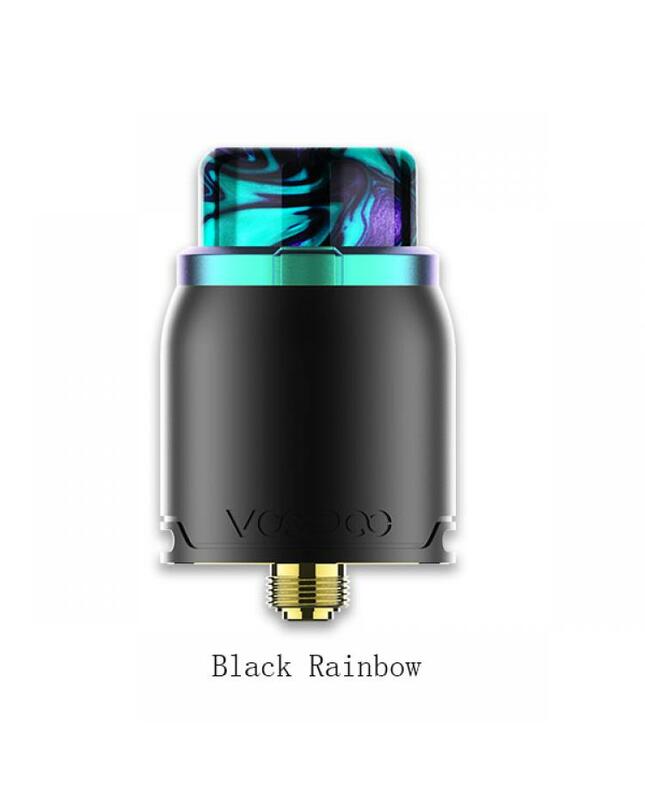 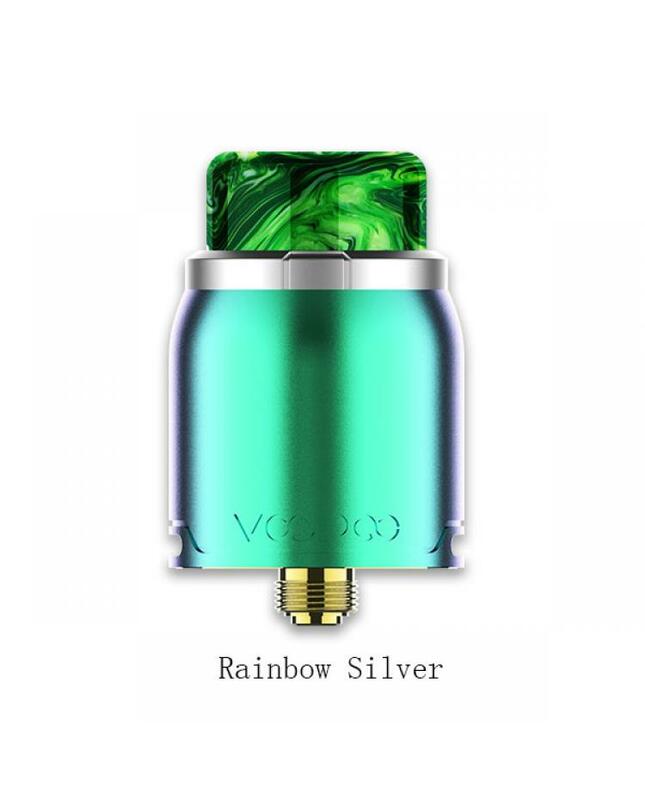 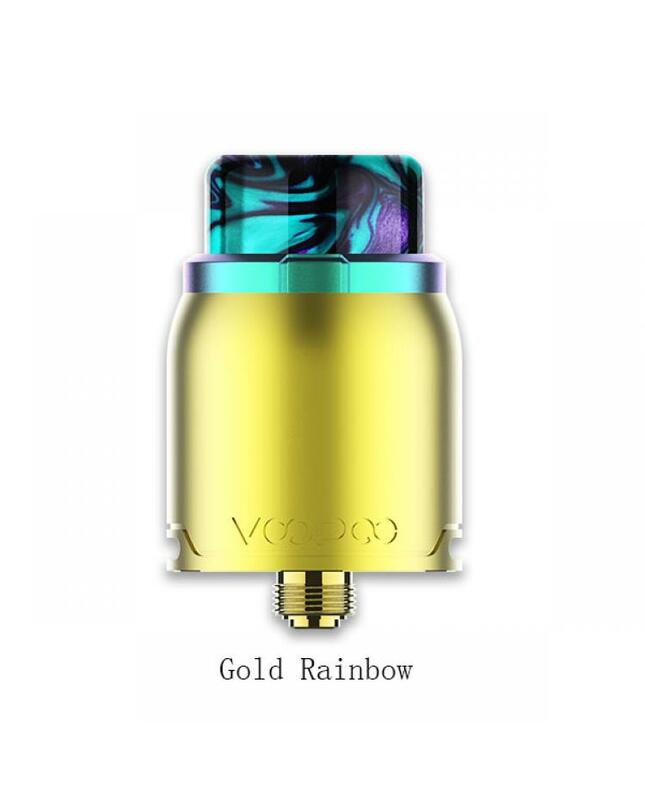 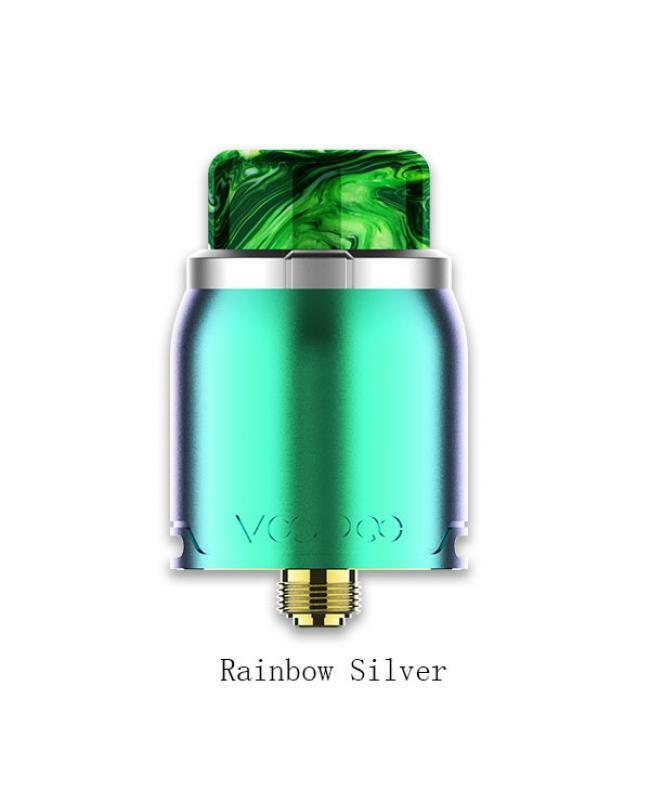 there is a screen on the top of the voopoo RDA cap that prevents condensate from getting out to the drip tip or even spraying into the mouth.